I know it's completely juvenile and shouldn't matter, but if I don't like Ferrari's new livery, I'm much less likely to watch the races. Radical random zigzac modern lines and shapes? Doubt it, doesn't exactly spell out anniversary. Hybrid of past liveries? Possibly. But famous Ferrari times call for famous tobacco sponsor based liveries, so not likely in that case. I think 95% of people just want a deep red Ferrari with black front and rear wings. Everything else can do what it likes. Basically 1995. Edited by danmills, 29 January 2019 - 18:13. I'm guessing it'll still be predominantly red, with white and black features. For completely different, I'd expect nothing less than a 1964 NART inspired blue and white. Red and black would tingle my dingle. But since Mission Winnow is having a light blue corporate color, a NART esque livery wouldn't be too far fetched. Edited by Beri, 29 January 2019 - 18:43. True, but I said it is not too far fetched. Which in turn means that I wouldn't be surprised if it would happen. That being said, a completely overhauled livery is not the same as a radically overhauled livery. I reckon the shade of red will change to a more darker red. Like the 08 one and the Ducati one. You can laugh all you want, but Ferrari has done some strange things with their livery the past couple of seasons. A white airbox, dropping the white wings, add grey (yuck) to the livery, and so forth and so on. So I wouldn't be too surprised if a different shade of red will be used and a reshuffle of the sponsors placements will occur. Ducatis are Red and Black, would we all want that on Ferrari? Edited by NoForumForOldPole, 30 January 2019 - 06:28. Ducati is not "Italy, Inc" at all anymore, it is a VW Group brand (being owned by Audi, that also appears on the bike). What I find interesting is the Philip Morris link, Mission Winnow reeally being MArlboro in disguise. 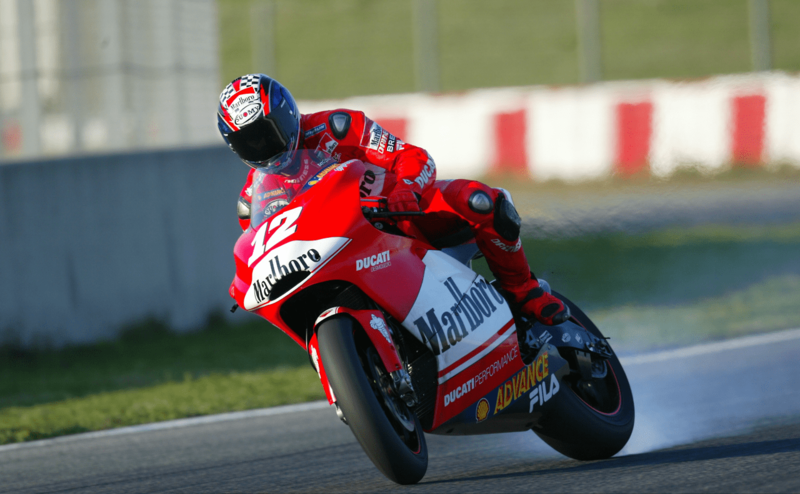 Surely this is news re Ducati, or have they had Marlboro sponsorship in the past ? or have they had Marlboro sponsorship in the past ? They have for the past.. "I don't know".. 15 years. Ever since they joined the Moto GP. It's the same construction by Philip Morris as with Ferrari. PM does fund Ducati. Their website is hilarious - just keeps saying this is not an advert for tobacco but by saying that is an advert for tobacco! If it's anything like the 1984-1992 Ferraris, then I would be more than OK with that. Edited by NoForumForOldPole, 31 January 2019 - 07:09. Well, perhaps it is just my understanding of what "overhauled" means - but as long as their car is predominantly red year after year, I wouldn't describe it as such. A "complete overhaul" would be suddenly deciding to use yellow instead of red or something. Edited by JHSingo, 31 January 2019 - 08:26. 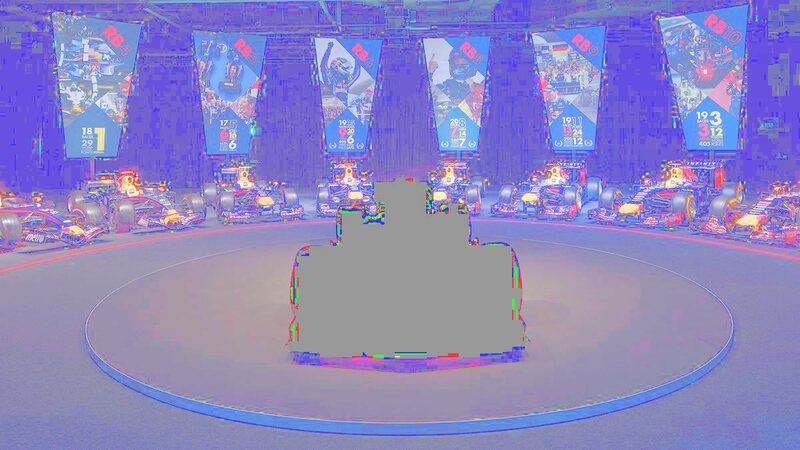 Edited by RA2, 31 January 2019 - 15:09. Williams will be one to watch, livery wise. The departure of Martini could lead to some very interesting results! 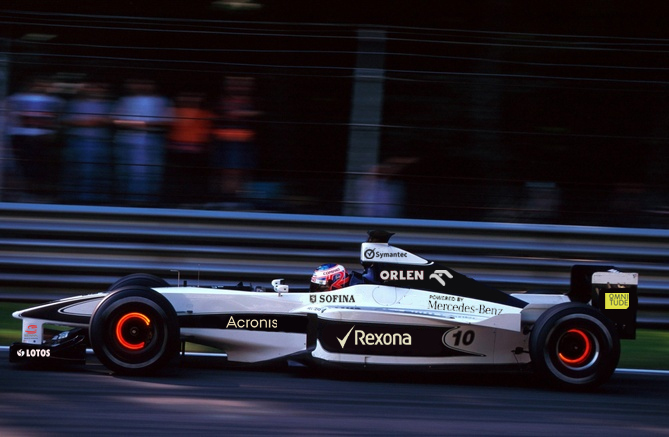 I loved the first few BMW Williams liveries. The upper one with the halo screams out to be made. I wish Williams goes for a livery like the fw22, my favourite one. If not, something like the fw30 is not bad either. One of a few photos I took 5 years ago to the day. 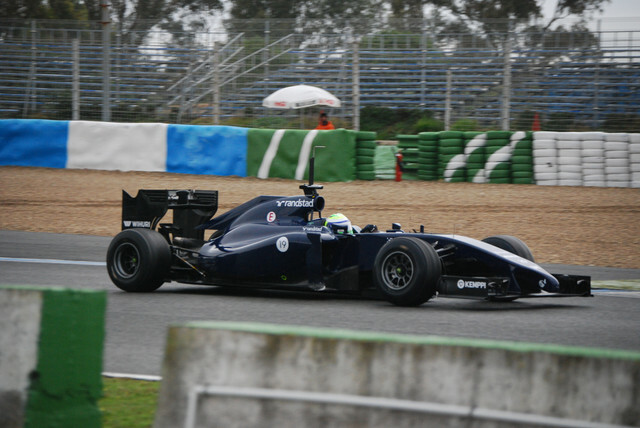 Bit of pre-Martini Williams at the first test of 2014. That plain blue was a smart livery. When you look at the RBs lined up like that you realise just how boring they have been with the liveries. Every one is near enough identical. Going from gloss to matt paint doesn't count as a radical change. Please do something different this year RB! If the livery would change to something close to Verstappens new helmet design or the design below, then it would be quite the surprise. But I cant imagine them changing their livery too much. I don't think it's boring at all. It has identity. It has legacy. I'm off to the bookies to have a punt on the Ferrari being mostly red and the Redbull being the same as it has always been..
That I agree upon. It is as iconic for Red Bull as (couple of examples) red is to Ferrari, green to Jaguar, yellow to Jordan and orange to McLaren. That I agree upon. It is as iconic for Red Bull as (couple of examples) red is to Ferrari, green to Jaguar, yellow to Jordan Renault and orange to McLaren. Jordan was green, yellow, gold, white. While Renault was yellow most of the time / had yellow all the time. Edited by Alburaq, 04 February 2019 - 11:21. Those things are not mutually exclusive! Point was made I believe. Edited by Beri, 04 February 2019 - 11:41. It's just a livery reveal, so nothing to lose by doing it early. Might as well make the most out of it. Does anyone know when Haas and Williams are revealing their actual '19 cars? As far as I know, they are the only ones not to give a date for it. 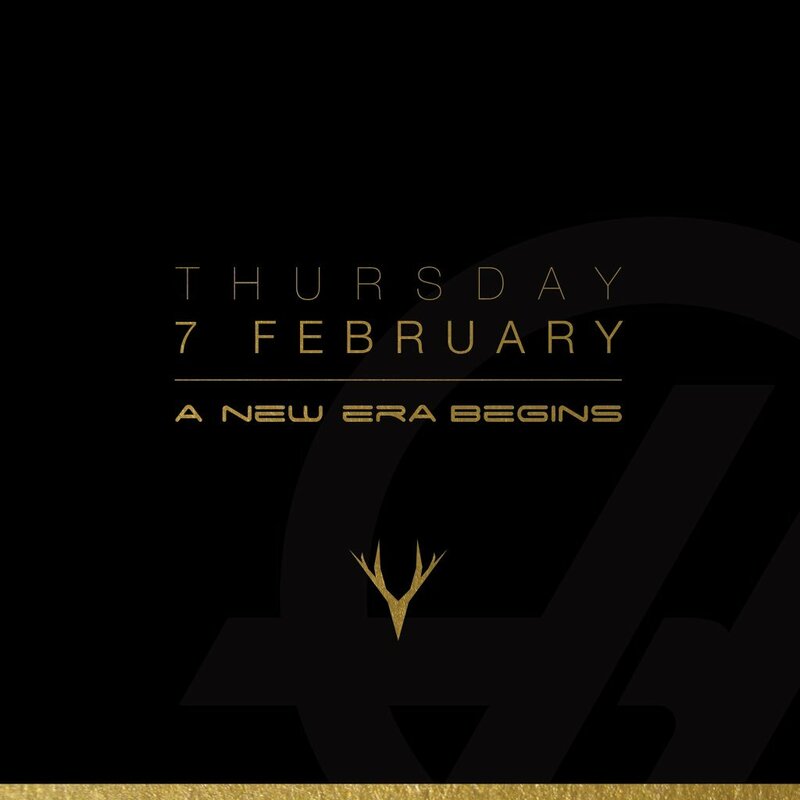 Haas the 7th of Feb. Willams probably a pitlane launch or a very late announced reveal at the factory. Something Williams has done before recently. 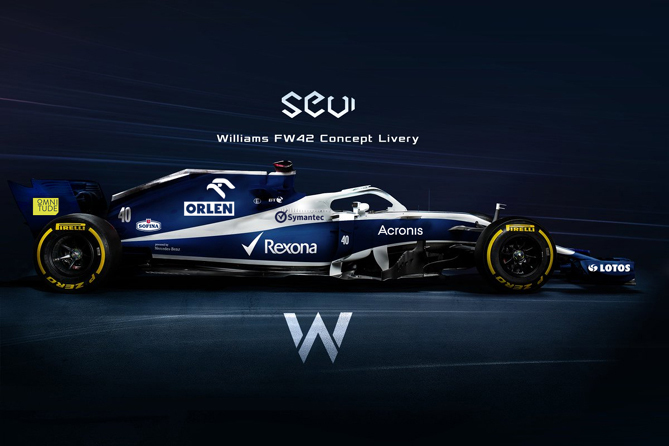 Williams normally release a basic render of their car to F1 Racing magazine. Does anyone know when the next issue is due out? 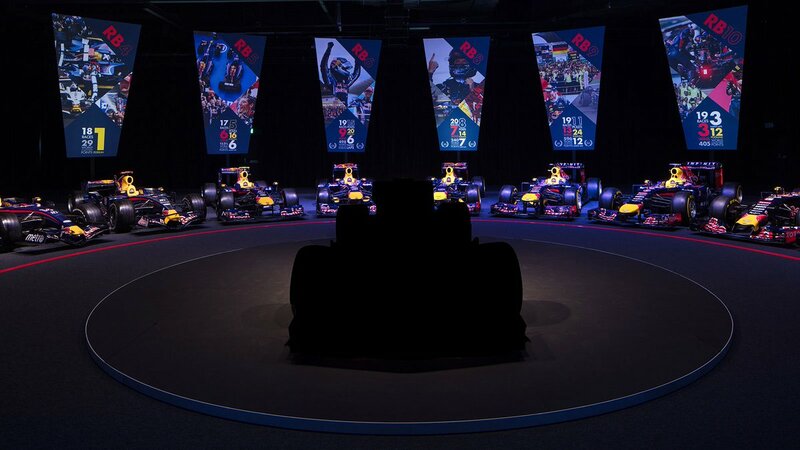 It's a livery launch, not '19 car. Will anyone do a launch via the cover of F1 Racing mag as in the past years? I'd strongly doubt it. There is just too much media and sponsor cuddling to be done these days. If they don't have strobe lights and high energy music will people even notice it? Williams did it in the recent years since 2014, I think. But you could be right that with Kubica's and Orlen's arrival a real launch might be better suited this year. Orlen's involvement doesn't look that significant (based on the positioning on Kubica's helmet), but then Williams have been handing out title sponsorship for pennies in recent years so who knows? My two cents are still on Lavazza making its way into the FW42.